Light and sweet for basking in the sun. 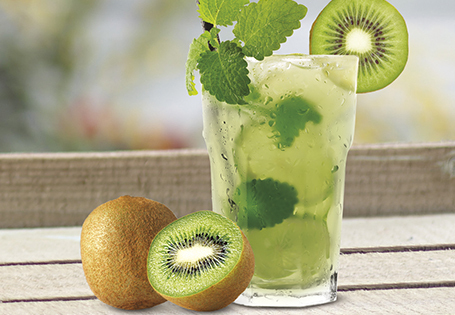 Combine cucumbers, limes and kiwi in a medium pitcher. Add the grape juice, agave nectar, lemon juice, club soda and mint leaves. Stir lightly and chill 1 hour before serving. TIP: Replace the juice with 750 ml of white wine to make an alcoholic version.